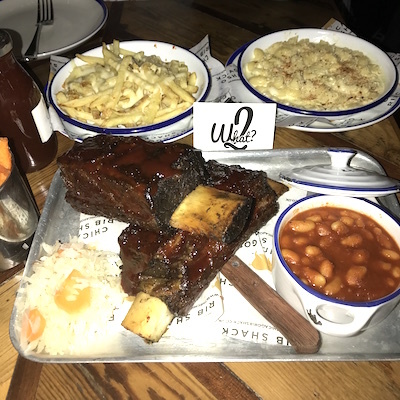 Chicago Rib Shack - Clapham -Review - What 2? 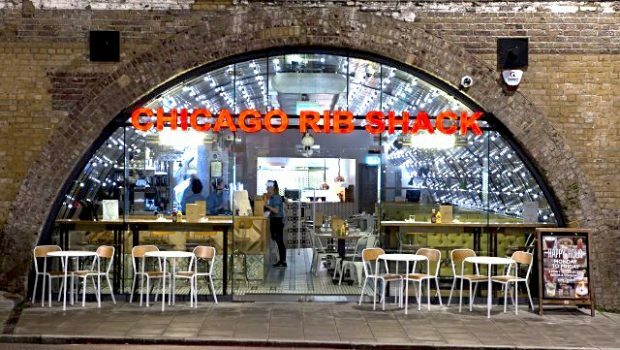 Chicago Rib shack is no stranger to London as they have many restaurants spread over town. We had heard a lot about the restaurants and decided to rock up to the Clapham branch. Instantly we noticed the bright headings and the lovely staffing team, who greeted and seated us as soon as we stepped through the doors. Chicago Rib Shack is certainly a hotspot in clapham as we noticed the flow of people entering the restaurant. We are big lovers of ribs but they have to be beef short ribs as we don’t eat pork… and we have to say these were delicious. Tender, smokey and served with the right amount of bbq sauce, they were right up our street. 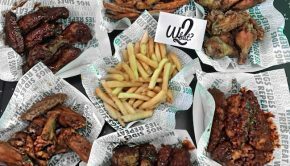 The wings and the grilled prawns are definitely two dishes we recommend as we feasted on both and couldn’t get enough. The food is very filling which is no shock due to their american history, which we know they are all about their big portions. Chicago Rib Shack has a variety of options on the menu… you are bound to find something that suits you. 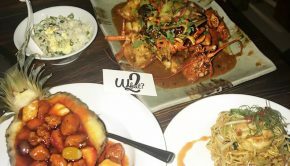 If you’re looking for a spot thats relaxed, casual and has a lovely community vibe, then this is the spot. They also have a bar which is perfect for those looking for a motive after work. 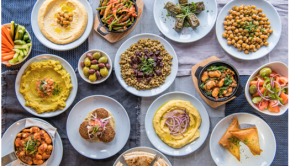 Hints and Tips: Enjoy 50% off your food from 5pm every Monday… They also host a range of other offers on the site.